It might look like a Range Rover Sport, but this is actually the 2017 Discovery. The fifth-generation version of Land Rover's popular SUV will go on sale in the spring from £43,495, with a new design, more tech and a powerful range of petrol and diesel engines. As before, there will be a Discovery for everyone, with improved on-road handling for the Chelsea tractor buyers and improved off-road ability and 3.5 tonne towing limit for those who want to the full Land Rover experience. 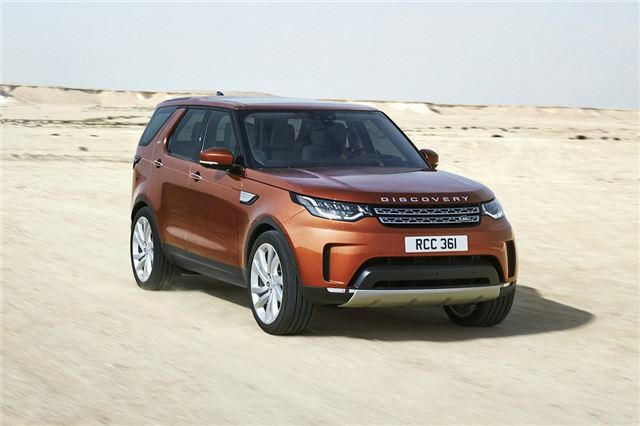 The fifth-gen Discovery gets a fresh new look that brings the design in-line with the Range Rover Sport. It also weighs 480kg less than before, thanks to the use of lightweight aluminium construction. As a result it’ll be capable of returning an official 43.5mpg, when specified with the 240PS SD4 engine. The twin-turbo SD4 develops a whopping 500Nm of torque and is the latest addition to the Ingenium family of diesel engines. A six-cylinder TDV6, with 358PS and 600Nm of torque is also available, along with a supercharged V6 340PS petrol.